If you don’t get wet enough on Bilge-Rat Barges or Doctor Doom’s Fearfall your options will expand at Universal Studios Florida in 2017 with the introduction of Volcano Bay. This new full feature water park will transport guests to a picture perfect tropical island that was formed by a massive volcano. Universal states that the water park will “redefine the water park experience for our guests”. 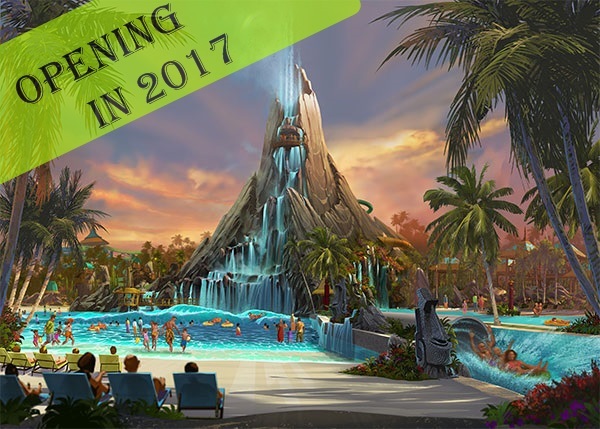 Volcano Bay will feature radically-innovative attractions and also peaceful moments of relaxation. Yep, we all need that. 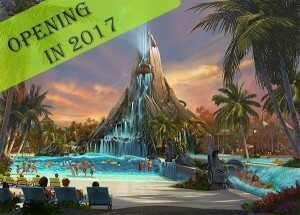 More information can be found on Universal’s Blog Here and look for Volcano Bay to open in 2017 just south of Universal’s Cabana Bay Beach Resort. UniversalDayByDay does not claim to represent the Universal Studios in any way and is not employed by or affiliated with Universal Studios Company or any of its affiliates.